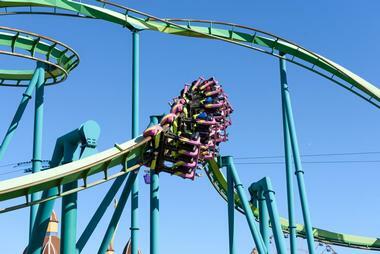 Ohio has two of the best, biggest, and most famous amusement parks in the country: Cedar Point and Kings Island, Ohio. Cedar Point, the oldest in the state, is known world-wide and ranked as one of world’s top amusement parks year after year. Kings Island is the largest amusement and water park in the Midwest. 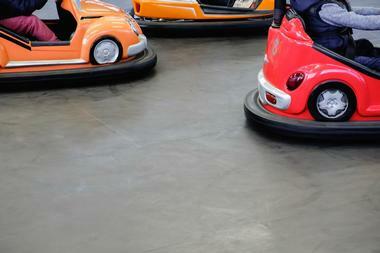 Many smaller parks combine rides, attractions, shows, and playgrounds, which makes them great for family outings. Several have on-land rides and attractions as well as water parks with many ways of getting a thrill and getting wet at the same time. Most Ohio parks also have something special going on Halloween and Christmas. A fairly small family park spread over six acres near beautiful Geneva-on-the-Lake, Adventure Zone has something for everyone: a zipline and two climbing wall for adventure seekers, Super Squirter bumper boats and go carts for kids big and small, mini golf for the whole family, great amusement arcade, a merry-go-round, and a special soft crawl place for the tiny kids. There is also a nice snack bar, so everything is set for a fantastic birthday celebration for some lucky kid. 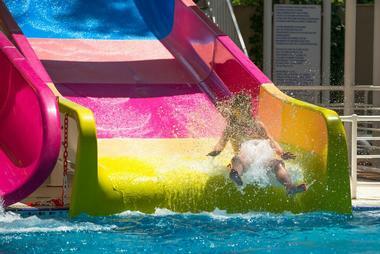 Adventure Zone is open daily during the summer and on weekends in May and September. It is closed during winter. Opened in 1870, Cedar Point is one of the oldest amusement parks in the States. This massive park is spread over 364 acres on an island in Lake Erie near Sandusky, Ohio. The park is part of a resort with a mile long beach, a hotel, and a restaurant. 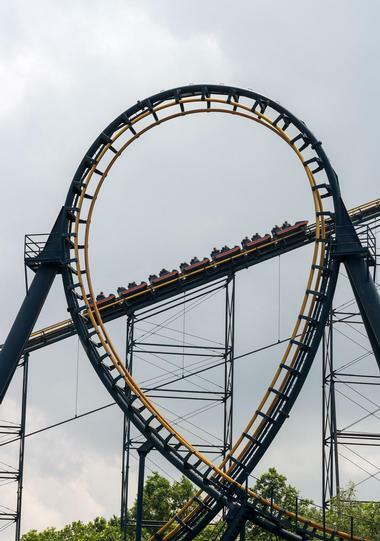 There are 72 world-record rides, 17 of them roller coasters, including the famous Steel Vengeance, and six roller coasters over 200 feet tall. The views of the lake from the roller coasters is breathtaking and a big part of the park’s attraction. Next to Cedar Point is an outdoor water park Cedar Point Shores, two marinas, an indoor water park Castaway Bay, an outdoor sports complex Cedar Point Sports Center, and a few nearby luxury resorts. Located about ten miles from downtown Cincinnati, Coney Island is a small family amusement park and waterpark on the banks of the Ohio River. The park is home to the largest recirculating swimming pool in the world and a massive, 155-foot tall Island Wheel. When at its highest point, the wheel offers spectacular 360-degree views of the whole area. The wheel has 36 gondolas that fit six people each. They make three rotations during each ride. To be allowed to go, kids have to be 42 inches tall or 32 inches with an adult. Coney Island is also famous for hosting several popular festivals such as Summerfair Arts Festival, the Appalachian Festival, and the Cincinnati Celtic World Festival. Located in Mason, Kings Island is the largest amusement and waterpark in the Midwest. It offers over 100 rides, shows, and attractions on dry land and more than 50 rides on the 33-acre Soak City Waterpark – there is an adventure for everyone. This is true heaven for thrill-seekers, with rides like Drop Tower, which plunges 26 stories from a height of 315 feet at 67 miles per hour. Delirium spirals its guests in a 240-degree arc and throws them up to 137 feet in the air. In WindSeeker, passengers climb 30 stories above the park on a tower swing. Xtreme Skyflyer offers the opportunity to experience hang gliding and skydiving at the same time. 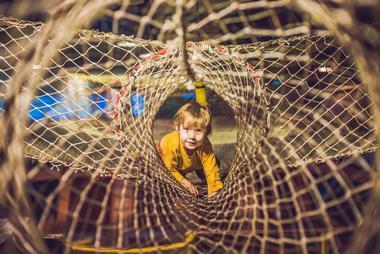 Planet Snoopy is a fun kids’ area, while Dinosaurs Alive takes you 245 million years back in time. Located in Hamilton, Stricker’s Grove is a 90-year-old private amusement park open to the public only a few days a year. But, once it is open, it is pretty special. Toddlers can take an unlimited number of rides on The Whip while you are relaxing and tasting roasted corn harvested the same morning. 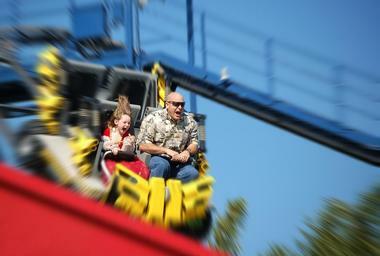 You can ride the Tornado Coaster, one of very few wooden roller coasters left in Hamilton County. The other one is also in Sticker’s Grove – the classic wooden roller coaster Teddy Bear. Other attractions include Boat Ride, Rockets, Little Cars, Kiddie Whip, Kiddie Turtles, Ferris wheel, Tilt-A-Whirl, Scrambler, Flying Scooters, Electric Rainbow, Mini Golf, and more. The park can be rented for birthdays, weddings, and other private celebrations. Tuscora Park is a popular family amusement park in New Philadelphia that offers a range of vintage rides and a nice picnic area with playgrounds. 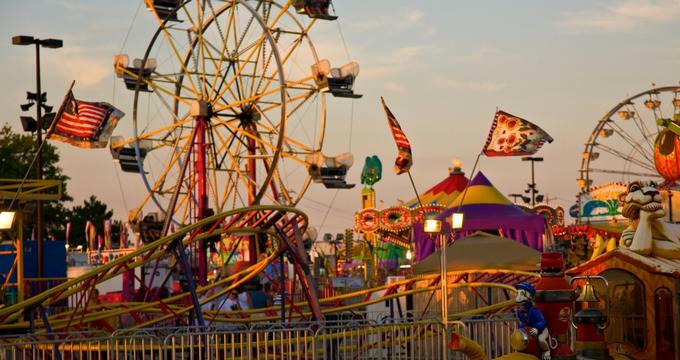 There is a popular classic Ferris Wheel, a fun mini golf, a carousel with wooden horses, tiny planes, swings, dune buggies, and all sorts of sports. You’ll find bocce courts, tennis courts, basketball courts, a community walking track, a baseball field, three swimming pools, and lot of places to eat – everything needed for a fun family day outside. The pools are open from Memorial Day to Labor Day and are monitored by a lifeguard. One of the pools is a small, fenced pool for the kids. The park is managed by a not-for-profit organization, and the prices are kept to the minimum to be affordable to everyone.